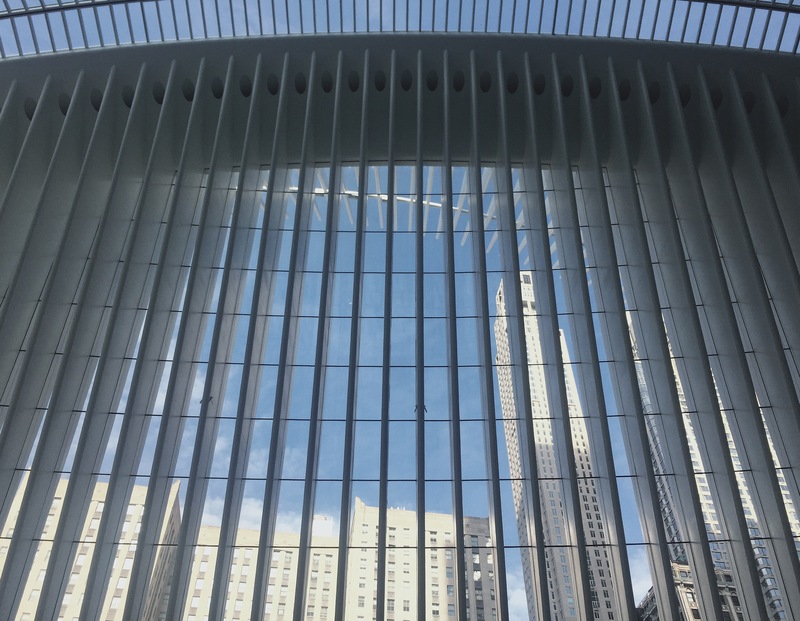 Finally made it down to see the finished World Trade Center Oculus! 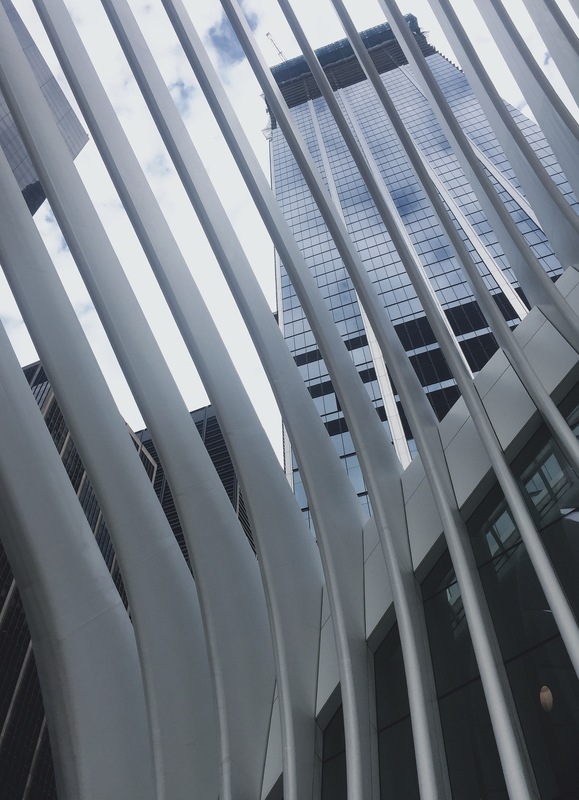 I haven’t been down to this area in months and the last time I saw it, Santiago Calatrava’s strange, rib-cage like structure was still under construction. Beneath the white “bird in flight” exterior is a huge open space lined with stores from H&M to Apple to Dior (and the second NYC Eataly!) 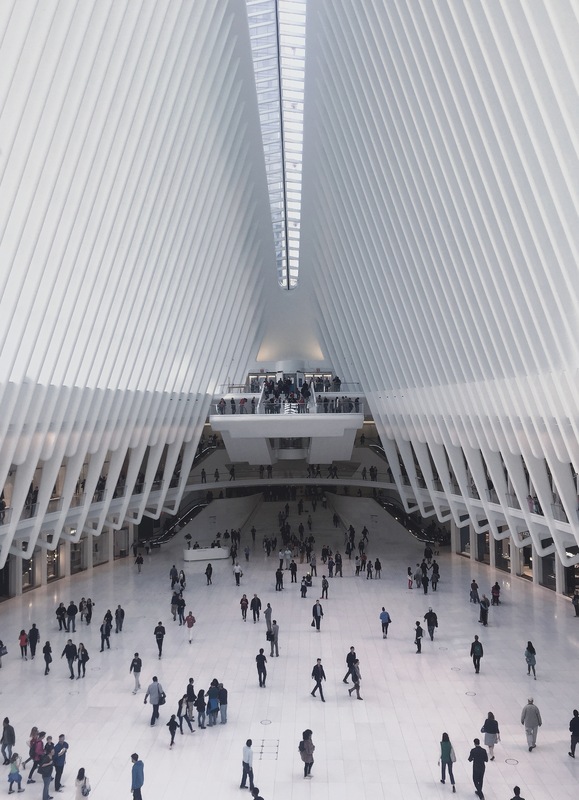 It’s also the home to the massive World Trade Center transportation hub– you can access 11 subway lines, path trains and the ferries from this stop! When we emerged into the center of the hub, I felt like I had been plucked from 2016 and transported into some futuristic alternate universe. Just take a look at this thing! You have to admit, it’s pretty incredible. 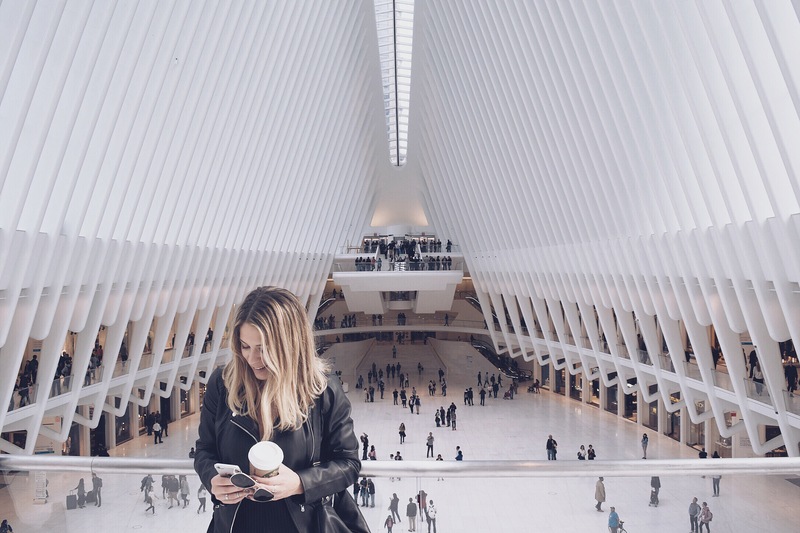 Especially when you consider that this mall, which spans four blocks, is smack-dab in the middle of the hustle and bustle of NYC. 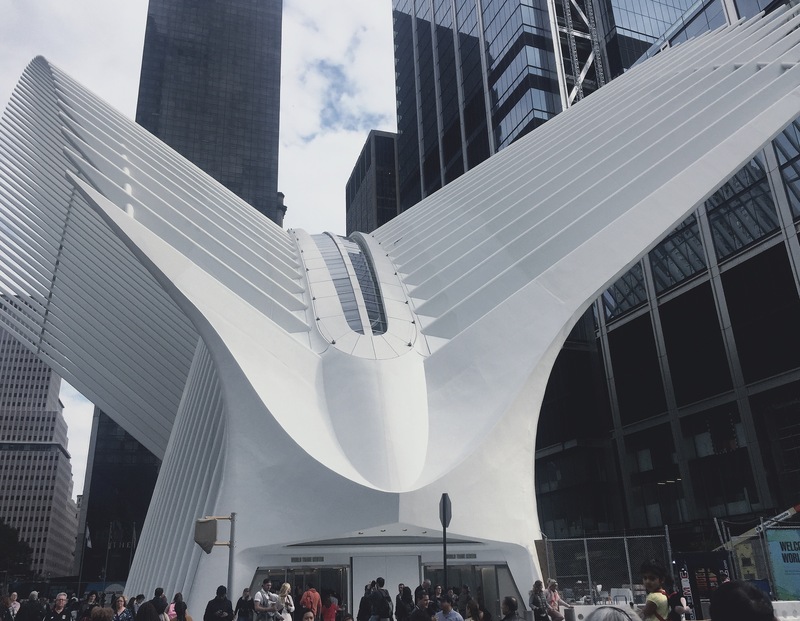 You should definitely check out the Oculus if you’re in New York, not only for the awe, but for the history and progress that it represents. 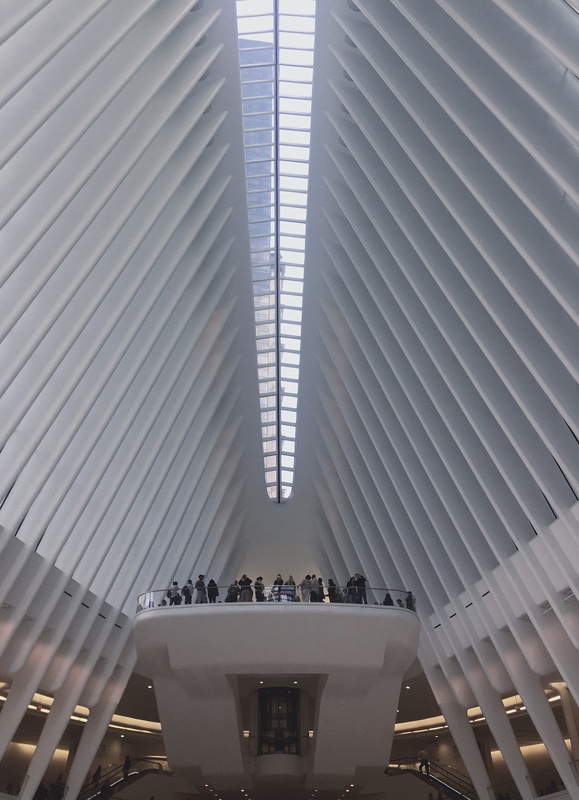 I’m sure many of you know this already, but the Oculus and the World Trade Center subway stop replace the station destroyed in the September 11th terrorist attacks. 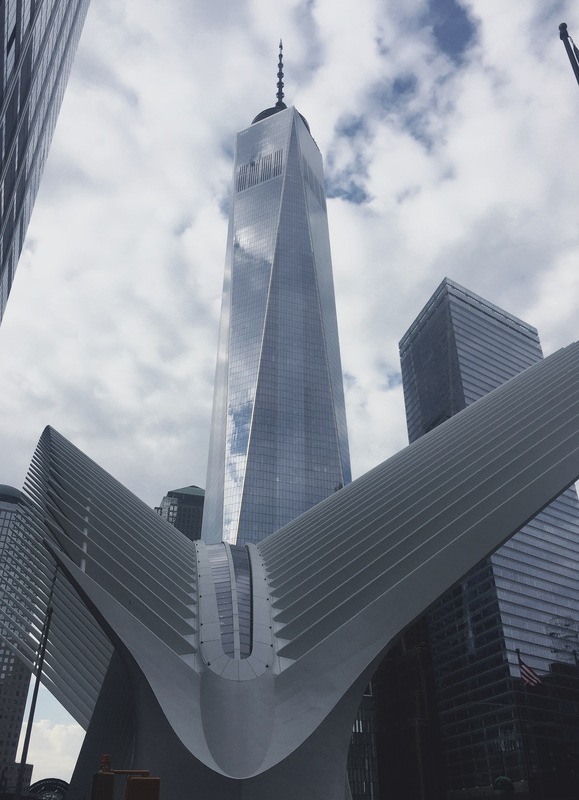 The Oculus sits right beneath the Freedom Tower and next to the 9/11 memorial, both of which are spectacular, yet somber.